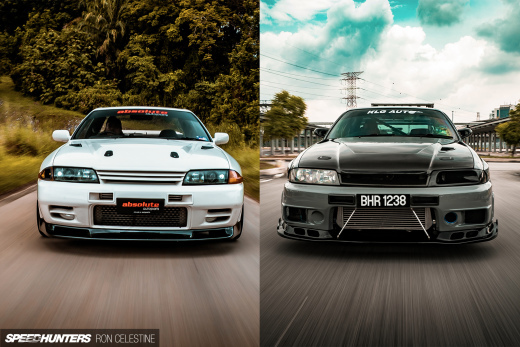 Here's another one for R33 day. 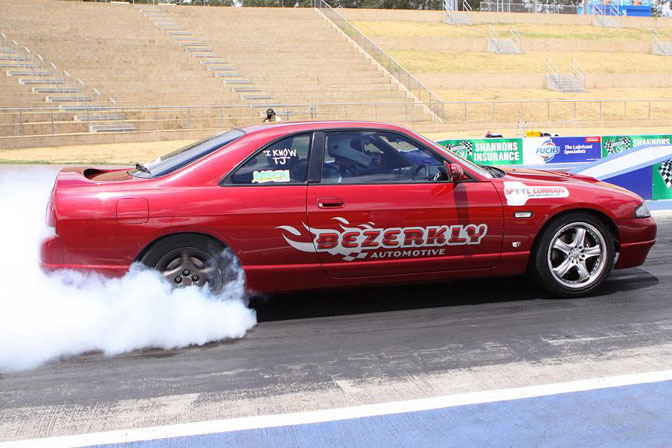 Adrian Hodgson from Australia built his ECR33 Skyline not for drifting or time attack, but for the old fashioned quarter mile. 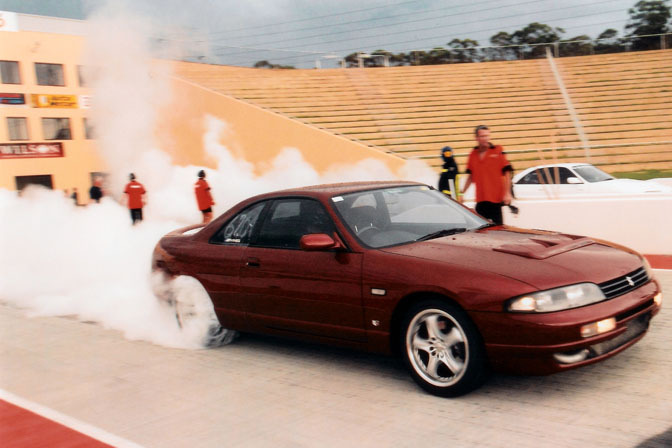 That doesn't mean that Adrian's Skyline only sees the track though. 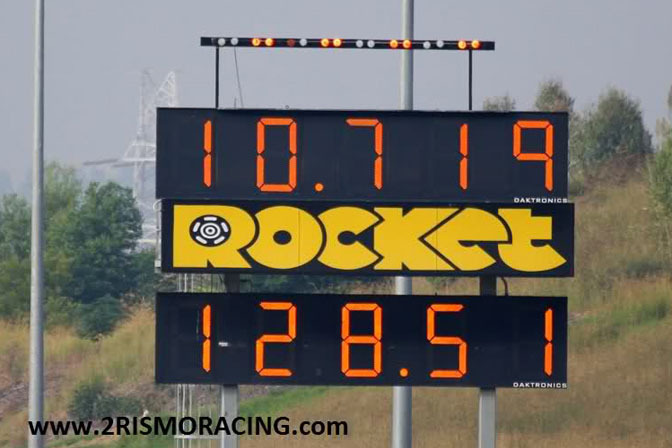 The car can easily drive 85 miles to the drag strip, turn in 10 second ET's and then drive home. 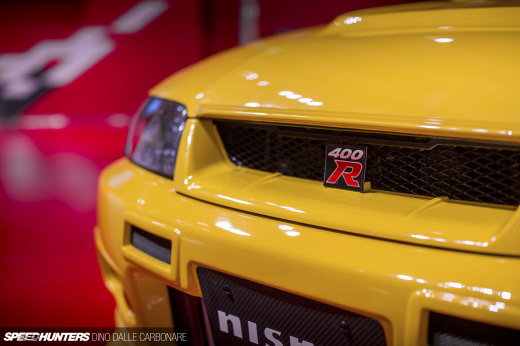 Over the 10 years that he's owned the Skyline, he's built it into one hell of a street car. 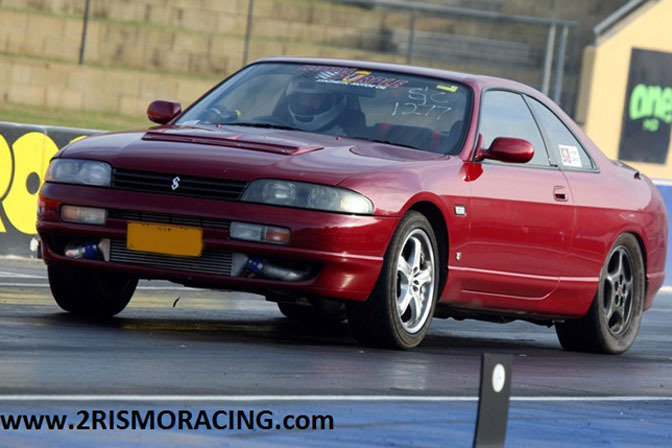 Powering the R33 is this fully built RB25 with a Garrett GT35R turbine. 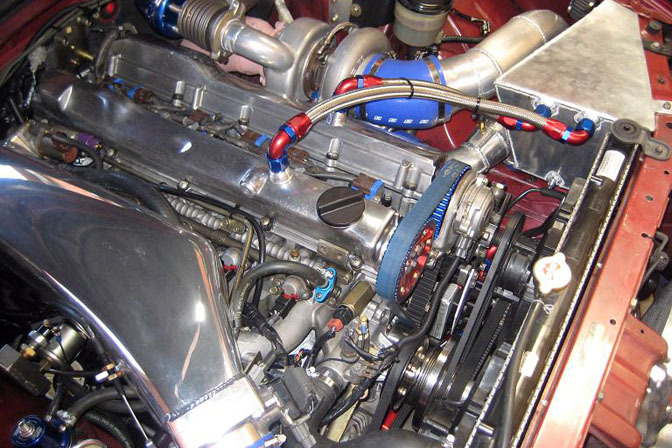 To help get all that RB thrust to the ground, Adrian is using a Ford C4 automatic transmission with a transbrake setup. Adrian's best ET to date – the photo speaks for itself here. 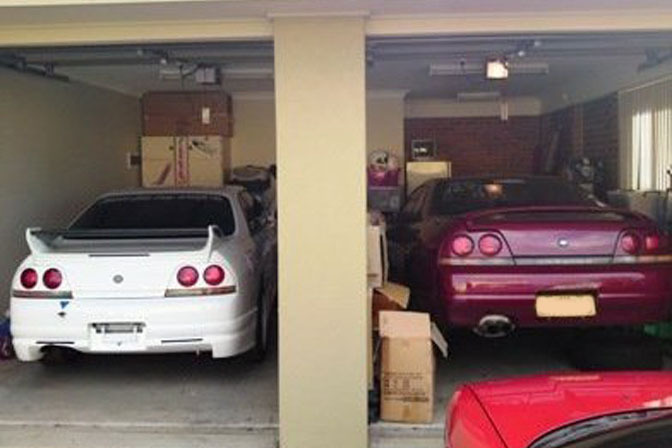 If the red car wasn't enough, he's moved onto another R33 drag project. With this one he's looking to break the 1000 horsepower barrier. 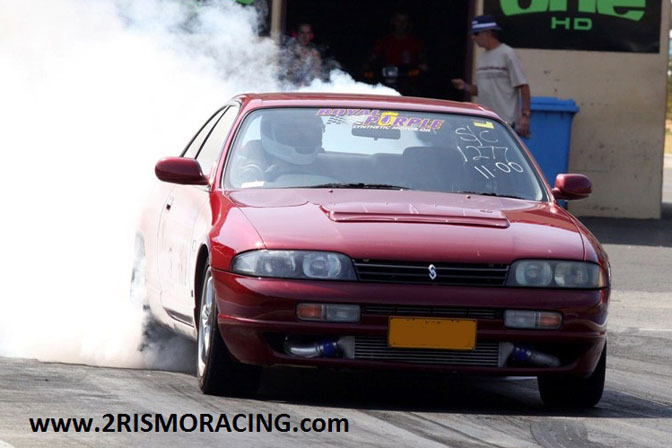 For more on this car, you can check out Adrian's site, 2rismoracing.com. It's for sale. Have to fund the new project. good post - not the best photo's in the world - but hey its all good - thanks for the post! LOL " I know TJ " . @sam31183 im not from america and tbh i cant be bothered to look on the internet to find out the reason why, so im hoping you can tell me why the hell skylines arent allowed in the states without a shitload of papers? basically we gave our own car companies a bunch of money because they where failing, and a good portion of that money goes to making foreign cars look bad. They already tried to make toyota look bad for "faulty" brakes. And they also keep good cars from coming over here in the first place. Why use an automatic transmission? Surely you'll loose power from torsional losses? Hey Adrian, love the mag best on the market in aus. First car ever to run on WSID. I remember seeing this car around Berkeley almost 10 years ago. Been to WSID with Paul Williams( swift Gti turbo) and Andrew Rogan (orange Datto 1600 sr20). Dan - The auto is a quicker, more consistent option in a street car like this. I bracket race the car and consistency I key.